Most people make the understandable mistake of imagining that if they are interested in any form of exercise, all they need is an old t-shirt and a pair of stretchy pants. In reality, what you wear during your practice will determine how your work-out feels. Here are some guides to follow when shopping for comfortable sportswear. 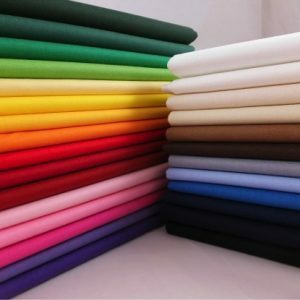 Fabric which is made of natural material such as cotton, linen and silk provides more comfort because they absorb sweat and allow your skin to breath without causing irritation. You should always reach for them first and avoid synthetics such as nylon and polyester. There are, however, other improved fabrics which blend well to create comfortable clothing for exercise. Every sport has its rules, and what you wear will be determined by the activities you are engaging in. If you are a swimmer, for instance, your sports attire will mostly be ones which allow water to slide off. A female athlete or gymnast will need a bra with maximum support, while a boxer must think of investing in protective gear. Basically, not all sportswear works for all sports. Most novice sportsmen always get discouraged the first time they check out the prices of comfortable sportswear. As much as they may seem expensive when you are first thinking of buying, you should think of the long term, and how they will serve you later. It is better to invest in durable sportswear which will serve you for a longer duration, rather than go for cheap that will wear and tear after a few sessions. Models in advertising have made it look as though sportswear is about fashion and looking good. That is why some people spend endless days looking for trendy items without thinking about comfort. Make sure your work-out clothes fit well, even if they are not fashionable.